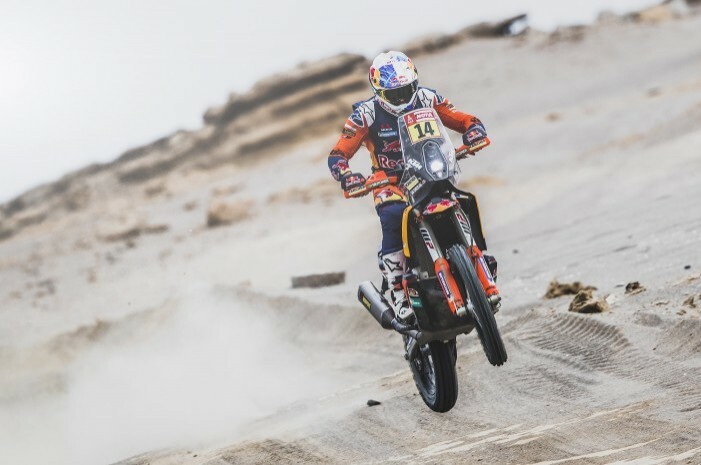 Britain’s Sam Sunderland was held up at the start of Dakar day eight as a blown fuse stopped his Iritrack navigation from working but he still managed a fourth-place finish. Due to the delay, the Red Bull KTM rider had to contend with dust thrown up from Stephane Peterhansel’s car but he cut the gap to the leader and is confident with two days left to run. “I arrived at the start and the guy said that my Iritrack was off. I hope we don’t have a problem due to that, because yesterday they said that if something is a modification and you have a problem with it,” said Sunderland.